Blackheads: The word alone is ugly. And the reality of having blackheads on your face is even more unpleasant — so much so that we understand why women are willing to go to great lengths to find out how to get rid of blackheads. But before you bust out that magnifying mirror and start popping blackheads like it's a game (seriously, don't do that), you'll want to check out our helpful guide to getting rid of blackheads fast. In other words, we picked the brains of experts so you don't have to pick at the blackheads on your nose. Read our guide to ditching blackheads for good now. So, what is a blackhead? Blackheads are basically the same as whiteheads, except blackheads have an oxidized fatty deposit, which makes them look dark, giving them their name, explains Dr. Harold Lancer, MD, dermatologist and Medical Director of Epicuren. "Blackheads differ from other pimples because they are open, and not enclosed by a layer of skin like most spots or pimples," he says. And what is the best way to remove blackheads? We rounded up trusted, expert-approved techniques for blackhead removal — which should prevent you from ever having the urge to pick again. 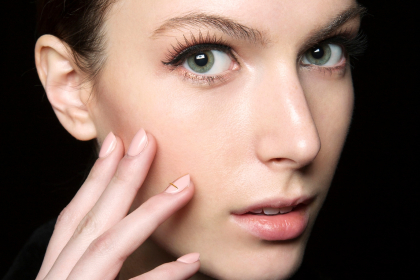 Here, your ultimate guide on how to get rid of blackheads once and for all. SEE NEXT PAGE: What Is a Blackhead? I bought the Citrus Clear Grapefruit Spot Treatment to reduce the oil on my combination skin and to get rid of some of my blackheads. Yes! You can use the Citrus Clear spot treatment as a mask as well! My dermatologist told me this, and I am so happy about it! I rinse with lots of warm water to open my pores and then use the Citrus Clear Grapefruit Spot Treatment. About half of my blackheads go away each time I use it! It's a fantastic product and I'm addicted. Steam will loosen blackheads so that these other tips work more effectively. There will be no scarring or damage from it, either. I have the most difficulty resisting the urge to pick. I needed reminders about that, and steam treatments and vitamin B3. I am constantly fighting blackheads so these tips have been insightful. I have used masks with kaolin and I agree that they help draw out the impurities and blackheads from the skin. I only wish the effects lasted. Definitely good tips. Mine really cleared up when I added a mask using a Thai clay and lemon juice. I also scrub with sugar and coconut oil.